Protein is the most important nutrient to help muscle grow, as any veteran bodybuilder will tell you. It’s no exaggeration to say that getting the right type of muscle building protein is crucial for anyone who wants to grow his or her muscle size and strength. But first, if you are not an experienced bodybuilder, then here is something you must understand about growing muscle. If you don’t give your body the required amount of protein for muscle growth then you won’t get significant muscle gains no matter how much effort you put into your workouts. So why is a protein such an important part of muscle building and which are the best sources of protein? Here are some basic facts about protein. Protein is not only important for optimizing the muscle building process but also crucial for repairing damaged muscle tissue. So we now know that protein helps you to grow muscle and get bigger and stronger, the next step is to find out the best source of it. Below is a list of foods that will help you maximize your muscle gains. Eggs are one of the best quality sources of muscle building protein, and it’s not necessary to consume them raw. Eggs – cooked in many different ways – to your breakfast makes sure that your muscles get plenty of protein, and it’s a great way to start the day. Lean red meat contains the highest concentration of growth-supporting nutrients making it an ideal muscle-building protein, so forget what you’ve read in all those diet blogs. Try to choose sirloin cuts or extra lean ground beef for the best quality protein. 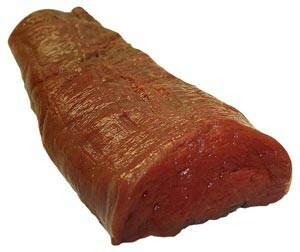 As well as meat chicken and turkey are also excellent sources of protein. Just remember that when eating poultry, you should focus on the white meat portions because they are extremely high in muscle building protein and very low in fat. Milk helps to grow muscle because it contains a lot of muscle-building benefits, making it another great muscle building protein source. You will find about 8 grams of protein in every 250 ml cup of milk. 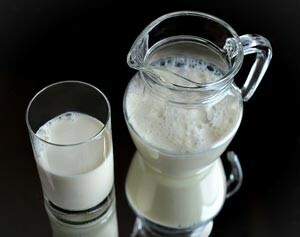 Milk helps muscle growth by providing a great variety of amino acids; and also contains short-chain fatty acids. You can add milk to your protein shake or to any other recipe, which is an added benefit. The slowest absorbing form of a protein is casein protein, and milk contains 80% of it. It can take up to 4 hours to digest casein completely, as it forms a gel in the stomach. This means that your body will remain in an anabolic state for longer because of the slow release effect of casein. You can provide your body with a good 30 grams of muscle building protein just by consuming a can of tuna and best of all, there are no carbs and fat in it. 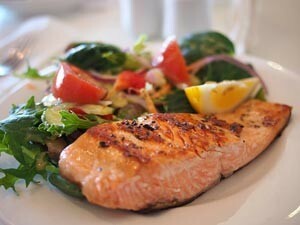 Some other great fish choices, which you should consider, are salmon, cod, and halibut. Fish and seafood not only provide you with protein but also omega-3 fatty acids, which are very beneficial for growing muscle. Peanuts are also a good muscle building protein source and also contain a lot of unsaturated fat, which can be beneficial to your health. 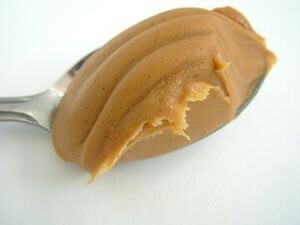 Instead of going for the commercial brands, look for natural peanut butter that does not contain saturated fat. Like milk, cottage cheese is also casein protein. As a result, it is digested very slowly. It contains a lot of natural glutamine, which is the most abundant amino acid in your body. Whey protein is one of the most popular and effective supplements for growing muscle because it can give you a heap of high-quality protein for muscle building.